Welcome to the website of Natchez Early College@Co-Lin. I am delighted that you have expressed an interest in our website. I encourage you to continue to seek our website for valuable information and resources. 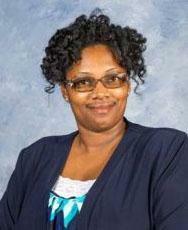 It is my privilege to serve as the instructional leader of Natchez Early College @ Co-Lin. As the founder of this school, I am pleased to see how we have grown in number, in support, and in course offerings. We started in 2014 with approximately 75 9th and 10th graders and now we have 168 9th - 12th-grade students. In 2014, we were an academy housed on the Natchez High School campus. I am pleased to say that our partners, Copiah-Lincoln Community College, has opened its doors to us, and we are now located on the college campus. We are a true early college where students have access to college resources and the opportunity to graduate with an associate’s degree. While our students are accelerated through their high school curriculum through block scheduling my faculty and I are committed to growing the whole student. Our small environment fosters a family relationship, where students bond with their classmates and teachers through teacher advisory. Our college liaison serves as a support for students as they navigate through the college curriculum. Additionally, students work on several soft skills that would guide them through high school and prepare them for the workforce through an advanced seminar course. Our motto, “Success is within reach through rigor, opportunity, and support. Aim for it! Work at it! Achieve it!”, guides every decision that we make about curriculum, instruction, competitions, activities and field trips. Students and teachers alike are result driven and active about working towards success in and outside of the classroom. NEC@Co-Lin students participate in athletics, the band, competitions, community service, service learning, and extracurricular activities while maintaining a 3.0 GPA. At the end of each year, we are pleased with the academic and personal growth that our students exhibit. As a native of Brooklyn, NY, I came to Mississippi to work on my Master’s degree and work with children through the Mississippi Teacher Fellowship Program. I came by faith and the word that I would find treasures in Mississippi. That was 18 years ago. Since that time I have taught in the classroom for 14 years, have spent 4 years in administration, have earned my Specialist’s degree and all hours needed except for my dissertation towards my doctorate. More importantly, I have discovered that what I do is a ministry, and I am rich from all of the jewels I discovered working with children. Therefore, I love what I do, with whom I do it, and where I do it. I am grateful for the support of the parents, the community and my district leaders. More importantly, the faculty and staff of Natchez Early College @Co-Lin and Co-Lin are the most committed, creative and talented individuals to work in the trenches with our children. I am excited about the school year and the great things that will spring forth. Please visit our website and our school often to share in the many success moments that will occur during the 2018-2019 school year. I hope to see you soon!